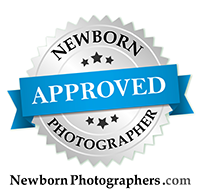 It was so much fun photographing this beautiful set of twin newborns at the studio for their newborn session. They were both so sweet, and slept so well for me at one week old. I've been photographing these two since they were brand new, and documenting their first year! It was so great to see them again for today's one year twin cake smash and portrait session. Will be sharing more soon, but just one for now! TOO CUTE! It's been so fun to watch these two grow from sweet little newborns to now. They are nine months, and so adorable. We had a great outdoor session.... so much fun! These two little darlings came into the studio at six weeks old, and they did a GREAT job during their session! It was a pleasure capturing these images for the family. Congratulations! Little Hunter and Makena were SUCH good sleepers for me during this session. They slept for several hours straight, and I got a great selection of shots for mom and dad! Sneak peek for now, more coming soon. Congratulations to this new family of four!